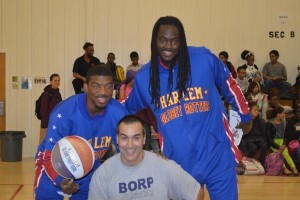 Harlem Globetrotters Play Wheelchair Basketball in Oakland! Yesterday BORP, and the Center for Independent Living, along with the Harlem Globetrotters came to Edna Middle School in Oakland to introduce students to wheelchair basketball and the idea of ‘no limits’. 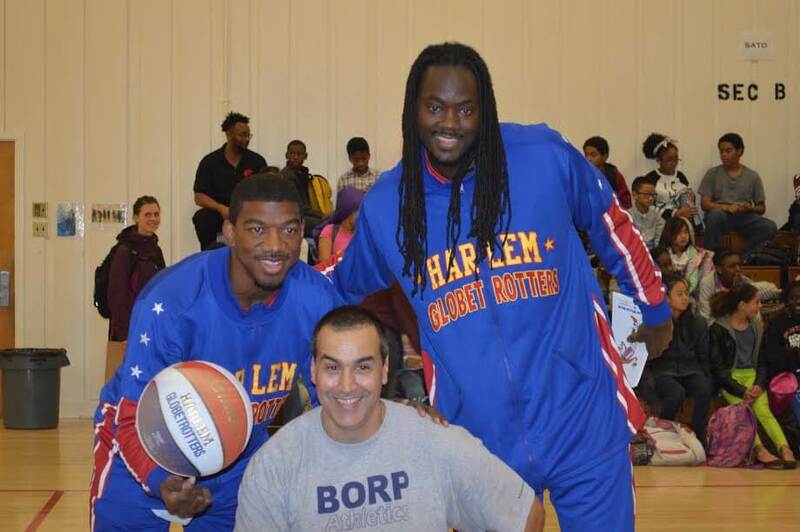 Trooper Johnson, BORP’s Youth Program Coordinator, with Slick Willie Shaw and Buckets Blake of the Harlem Globetrotters, led students in a playful and educational session. Check out the full story at ABC7 News!